The iPhone sales growth might be slowing down as the market saturates, but Apple has a huge iOS installed base. The tech giant has doubled down on services such as the Apple Music and iCloud storage to make more money. In fact, services are its fastest growing business segment. Tim Cook had vowed a couple of years ago to double Apple’s 2016 services revenue to $50 billion by 2020. Services contributed close to $40 billion to Apple’s fiscal 2018 revenue. A new report claims that the tech giant is working on a gaming subscription service that could further boost Apple’s services business. How will the gaming subscription service work? Five sources familiar with the matter told Cheddar that the Cupertino company was in talks with game developers to be part of its upcoming gaming subscription service for iPhones and iPads. It would function like ‘Netflix for games,’ said Cheddar. The new service is still in the early stages of planning. It would allow users to access a pre-selected number of titles by paying a monthly subscription fee. Cheddar didn’t offer details on pricing and availability. According to its sources, Apple would act as a publisher for titles, taking a more hands-on approach with games included in its subscription service. The tech giant could also entice developers to create exclusive titles for its gaming subscription service. As a publisher, Apple would assume the cost of user acquisition, marketing, and distribution, allowing developers to focus entirely on creating games. The iPhone maker currently takes a 30% cut of the App Store purchases, though it reduces the fee to 15% after a year of subscription. Apple’s latest iPhones and iPads are fully capable of playing heavy games. When Apple unveiled the latest iPad Pro late last year, it compared the tablet to the Xbox One. There is no gaming subscription service in the mobile space yet, but Microsoft offers something called Xbox Game Pass that gives unlimited access to more than 100 games to Xbox One users for a low monthly fee. Microsoft adds new titles to the service every month to keep gamers engaged. Apple’s service is said to be similar to Xbox Game Pass, but for the iPhones and iPads. If it materializes, Apple stands to benefit a lot because the mobile gaming market is growing much faster than console gaming. According to research firm IDC, consumer spending on mobile games surpassed spending on consoles, PCs, and handheld games combined in 2017. 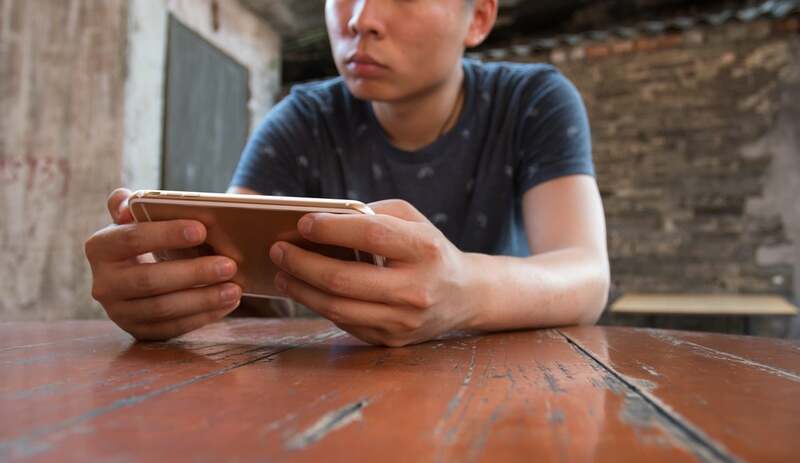 Though a large number of mobile games are free to download and play, they offer in-app purchases to generate revenues. However, it’s not going to be easy for Apple. Microsoft is working on a game streaming service called Project xCloud, which is expected to arrive later this year or in 2020. Google is also rumored to be working on a game streaming service under the Project Stream. Another technology heavyweight Amazon is also developing a game streaming service that would allow players to stream games over the Internet instead of downloading them. While Apple’s gaming subscription service is still in the early stages, the tech giant’s much-awaited TV subscription service is almost here. According to The Information, Apple has informed entertainment companies that its TV streaming service would go live in mid-April. Apple has teamed up with several production houses and celebrities for movies and TV shows. The tech giant will also be producing its own content for the new service. It has signed deals with third-party companies like HBO to make their content available through its service. As per The Information, the Cupertino company would make its TV streaming service available through the existing Apple TV app. The Apple device owners will get some of the first-party content for free. Though the service would launch in the US first, it would be rolled out to more than 100 countries by the end of this year. Apple has more than a dozen original TV shows in the works. Separately, Apple has revised its App Store subscription guidelines to prevent apps from tricking users into more expensive subscription fees. Many apps represent their subscription fee in a way that makes it look a lot cheaper, while hiding the real details in the fine print that most people don’t read. For instance, Tinder represents its 6-month subscription as “$8.83/month” without explicitly stating that you will be charged $52 upfront. With the revised guidelines in place, app developers have to make the pricing crystal clear. The guidelines say, “the amount that will be billed must be the most prominent pricing element in the layout.” Developers will also have to clearly state the terms of purchase as well as how users can cancel or manage their subscriptions. They can’t hide recurring payments. According to TechCrunch, there are many apps in the App Store that use deceptive subscription practices.